This is a worksheet on homophones using the topic of valentine's day to introduce it. The present downloadable printable was created for adults at Beginner (pre-A1) and Elementary (A1) level. 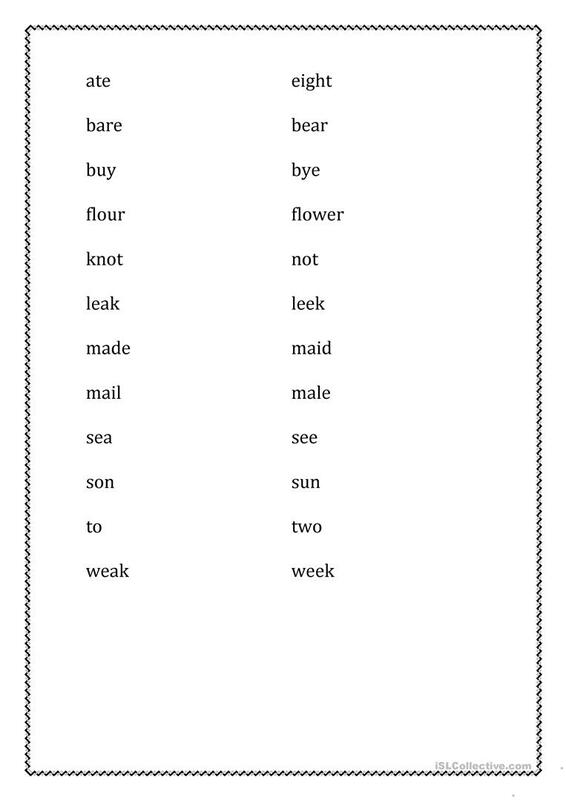 It is excellent for enhancing your pupils' Spelling, Speaking, Reading and Writing skills. 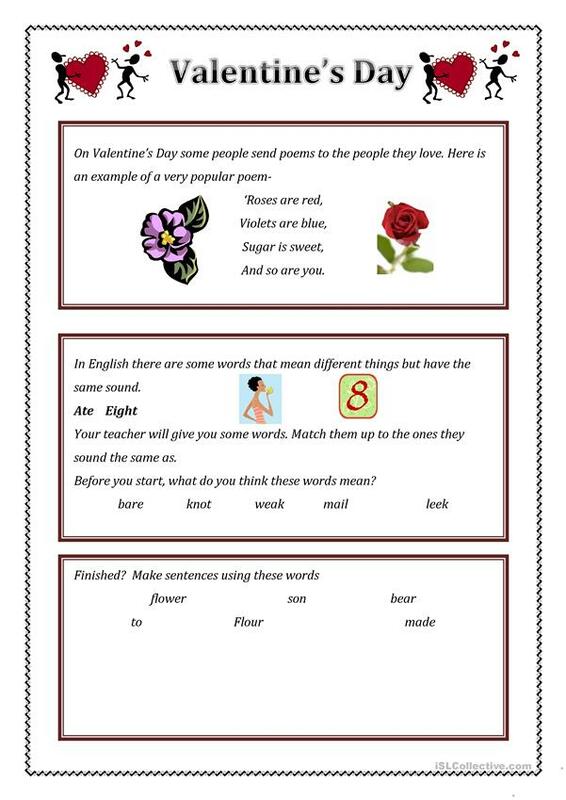 It centers around the vocabulary topic of Valentine's Day.